Mercedes-Benz announced today that it will debut the Concept GLA premium compact SUV at the Shanghai auto show (April 21- 29). 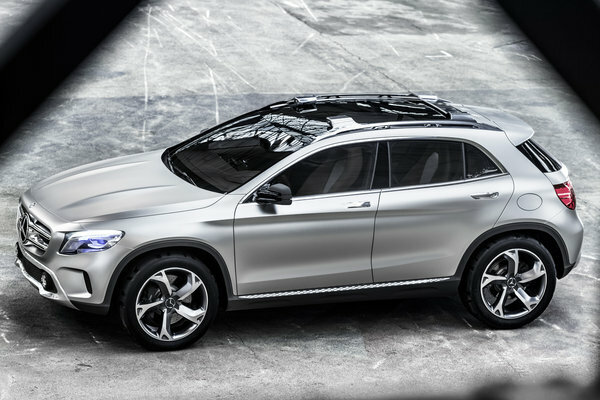 The Concept GLA blends dramatic styling with clear functionality for recreational use. Under the hood of this new concept vehicle (length/width/height: 172.5/77.8/62.1 inches) sits a four-cylinder turbocharged gasoline engine rated at 208 hp with a displacement of 2.0 liters. Its power is transmitted to the road via the 7-speed dual clutch automatic transmission and 4MATIC...Read.